Ceri has worked in digital for over 20 years. She put together the original M&S, Argos and Abbey National eCommerce platforms online. She then moved to Vodafone in 2004, holding a number of international roles, delivering mobile services, global SAP, MI & BI & group financial reporting. She has worked all over the world India, Spain, Hungary, Portugal, Romania, South Africa, Germany, including a couple of year in San Francisco with Vodafone and the tech community delivering software and looking at interesting start-ups for Vodafone. Within a two year period she learnt about back office operations and ended up delivering one of the largest SAP instances in the world. Ceri was promoted to Head of Group Online PMO in 2010, where she was responsible for the definition, set up and running of Online PPRM & PMO, building from €3 million to +€100m p.a. Programme, delivering software to 15 countries. In 2012 Ceri was promoted to Head of Group Online Sustainability where she was accountable for definition, delivery and management of Group Online BAU services & support, including post go live change and platform upgrades for +£400m of software. Ceri ran a business change programme delivering a standardised IT change & support model to +1000 resources situated in18 countries. 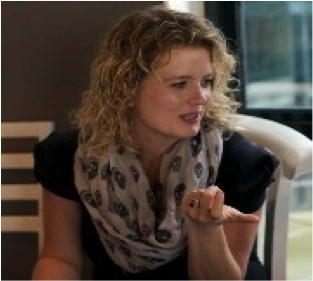 In July 2013 Ceri joined LBG has Head of Digital PMO and was promoted in 2014 to Head of Functions within Digital of Lloyds Banking Group. A few very interesting and random facts about Ceri. She has a secondary interest and hobby which is brewing unique ales and ciders from her hometown in Wales with her father. She resides on a large Dutch barge on the Thames with her two children, husband and a cat named Dave and spends her weekends at the rugby/cricket/allotment/cycling. She is also a avid Big fan of music festivals, and both of her kids attended their first music festival before they were 6 months old and this year she is taking the WHOLE family to Budapest to a huge festival held on an island in the middle of the Danube.